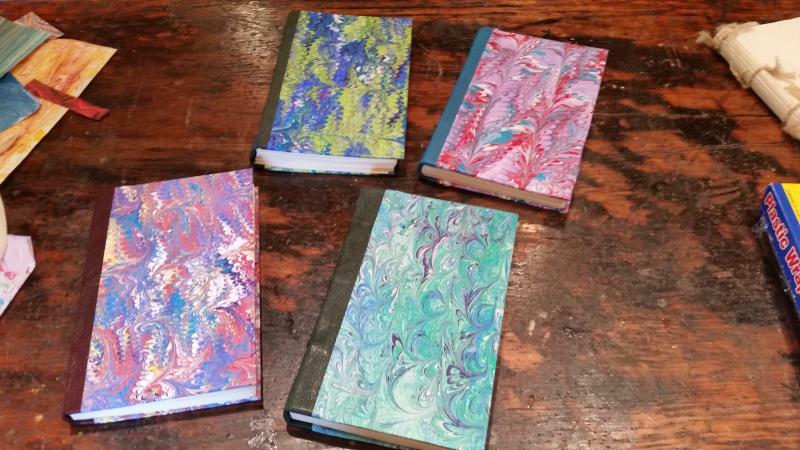 Colonial Bindery - Bookbinding, Marbling, Gilding & Book Repair Workshops "When We make Art, the Art makes Us." NOTE: WE ARE NOT LOCATED AT THE EAGLEVIEW BLVD. ADDRESS. IT IS NOT OUR SHOP, IT IS FOR MAILING OR DROPPING OFF BOOKS ONLY. Box #367, 256 Eagleview Blvd. "When We make Art, the Art makes Us." 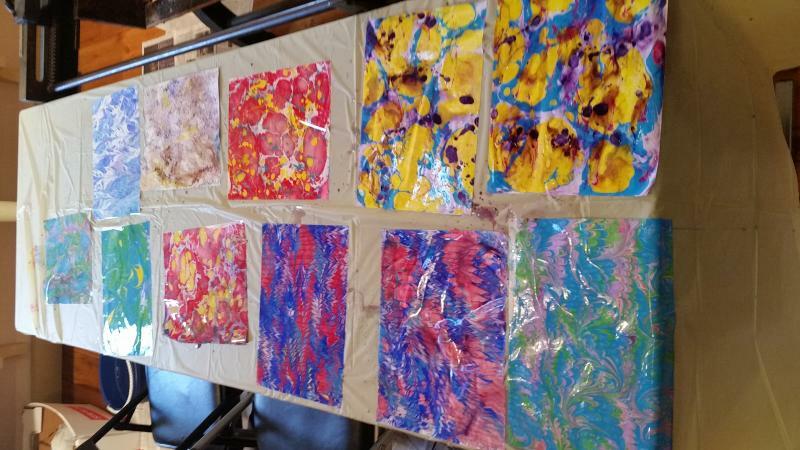 Marbling is the art of floating and designing watercolors on a base fluid then permanently transferring the design to paper, fabric and wood. It was developed by the Persians about the 15th century. 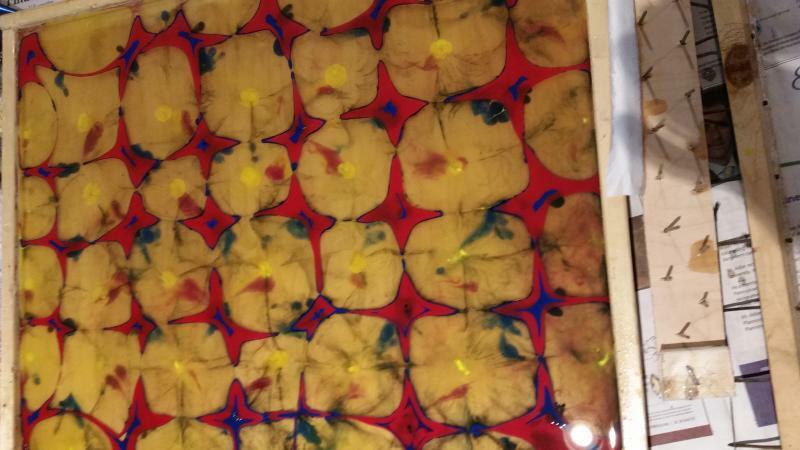 Marbled papers were used as book endpapers and covers. 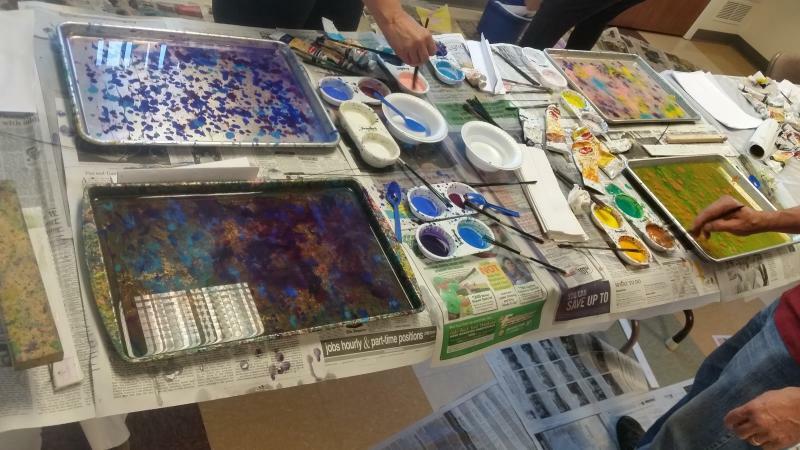 Participants will learn how to prepare the paper to accept the colors, mix the paints, prepare the base fluid, float and create the designs, and transfer the designs to paper. The students will take their completed items home. Class lasts 5-6 hours. 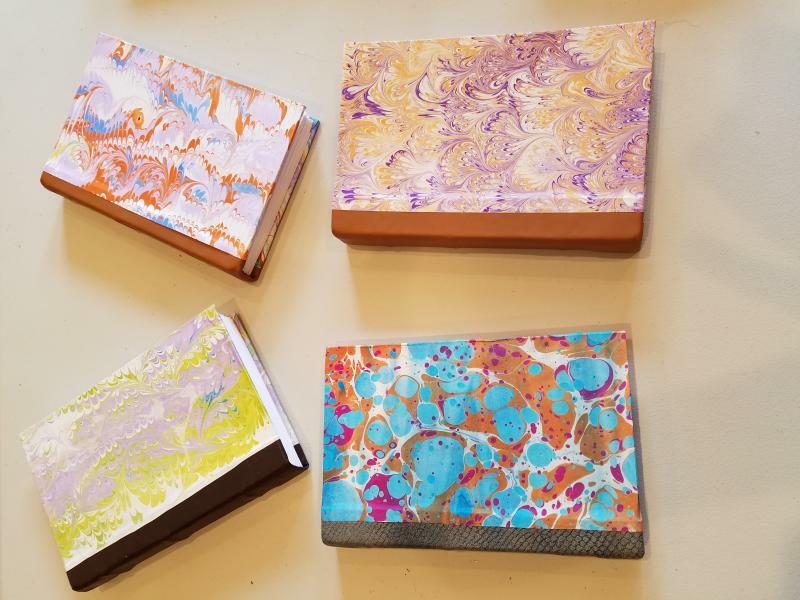 Marbling students who sign up for a bookbinding workshop are welcome to add their marbled papers to their books. $65/student. Age 8 and up, 3 minimum students, 10 maximum. Equipment and supplies included. 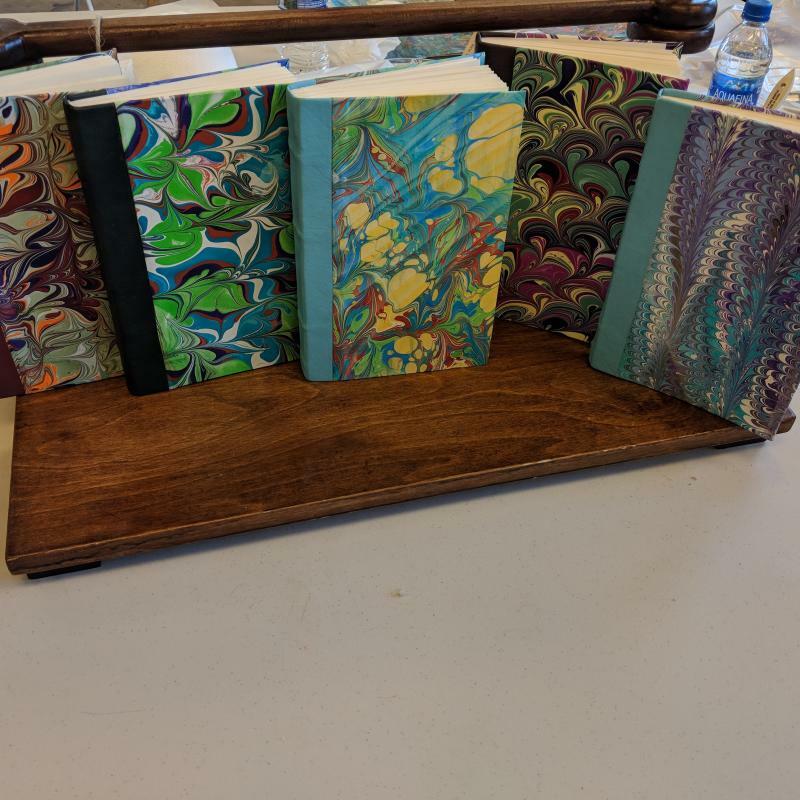 This is an advanced class only for participants who have taken the introductory Bookbinding I workshop. 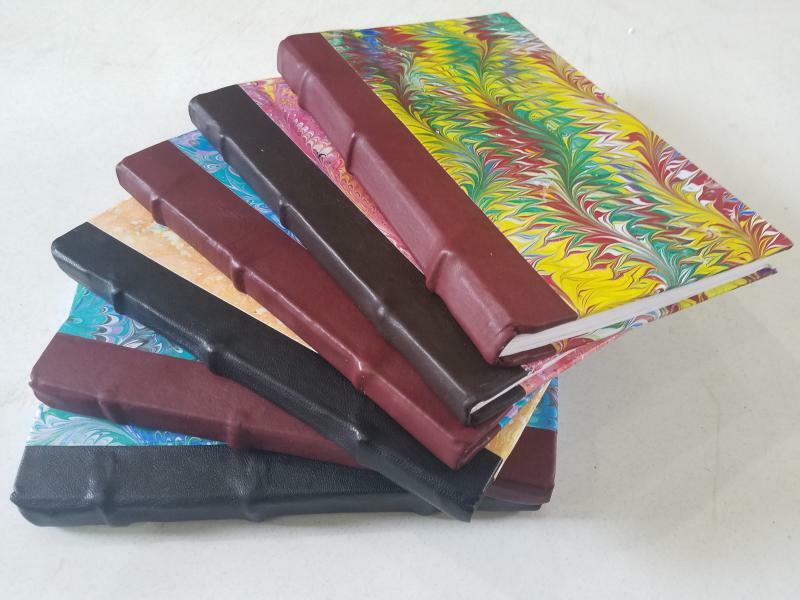 The students will take home a fully leather bound book. They will learn new techniques that are not taught in the basic course such as Rounding, Backing and Headbanding. Class size is limited to 6 students, minimum 2 students, minimum age 14. $100 per student includes all materials. Class lasts 5-6 hours. 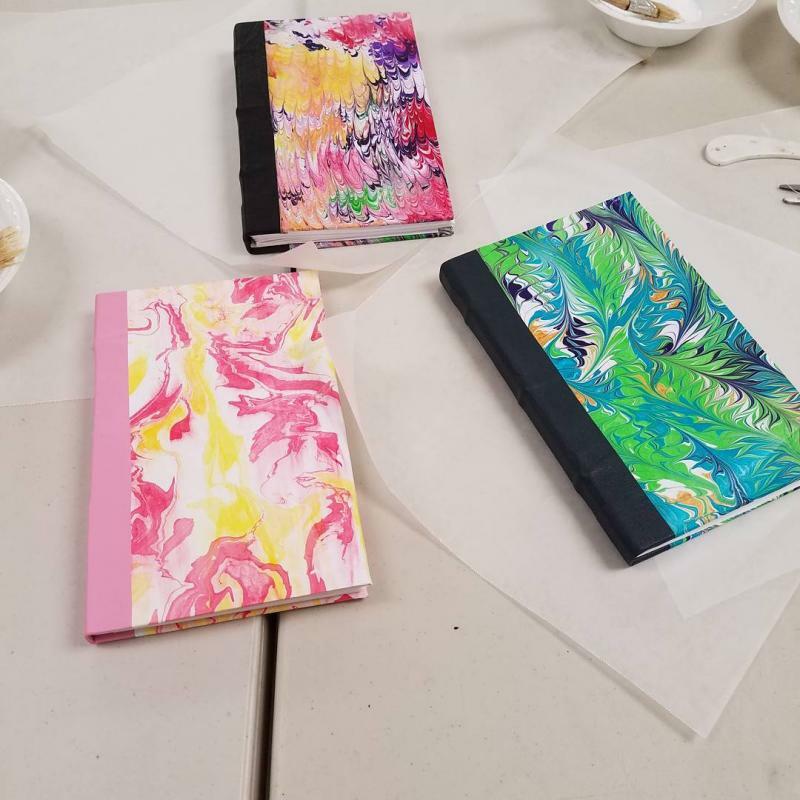 The students will be taught basic book repair techniques, and in the process learn about the book's components and traditional hand bookbinding methods. They will dissect a book and reassemble it. 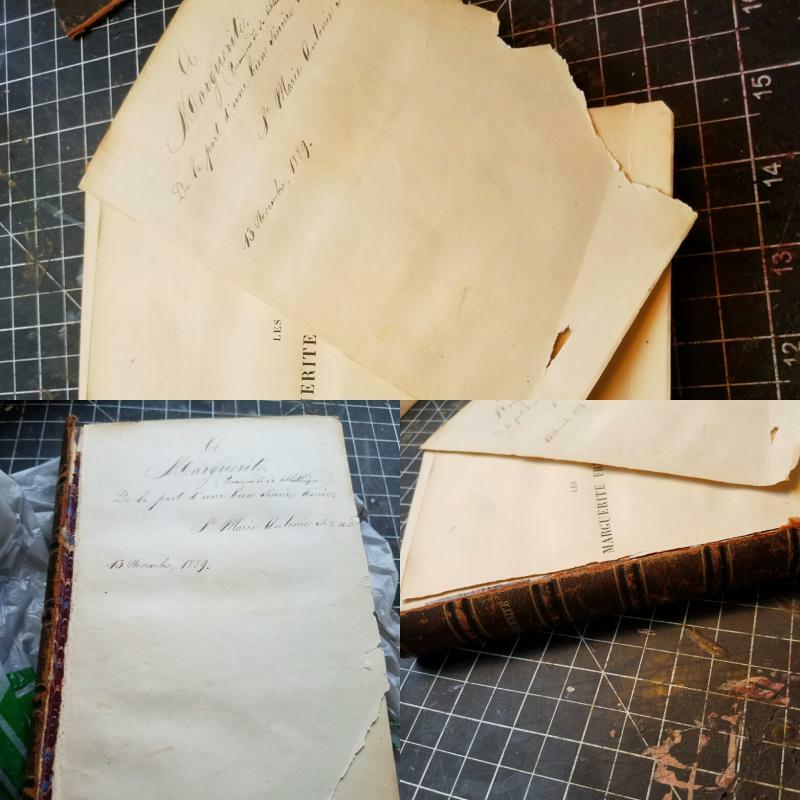 The students will deconstruct the book by detaching the covers and spine; removing the sewing; and disassembling the text. 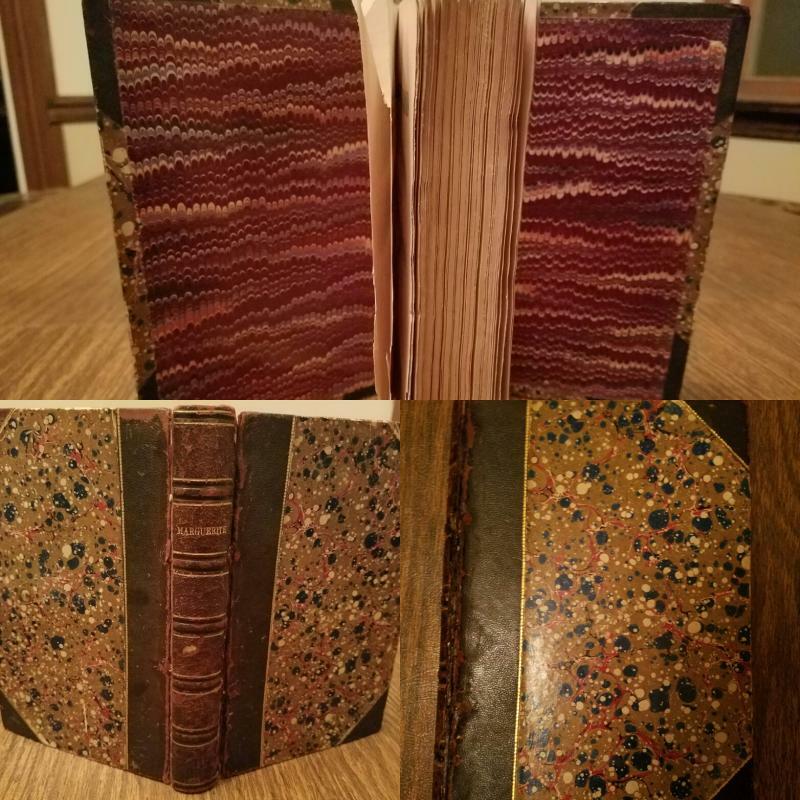 They will then reconstruct their book by performing page repair; resewing the text; and rehinging the covers and spine. The book (you may bring your own book, but please provide me with photos at least a week in advance for approval), materials and supplies are provided. 18 and up only. Class will last 6 hours. Maximum 4 students, 2 student minimum. $100.00. 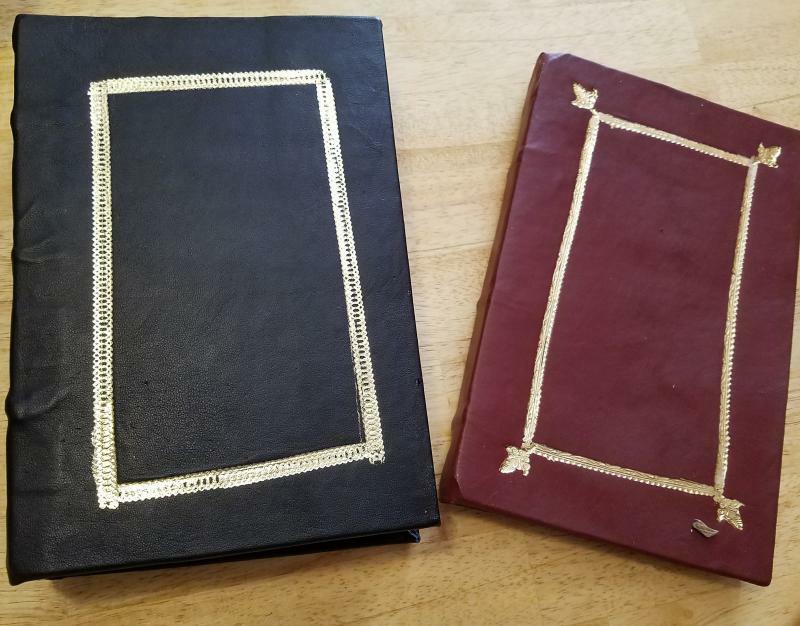 Learn how to gild leather using traditional brass bookbinding finishing tools. You will work with gold leaf and foil. Class is 3 hours, maximum 4 students, minimum 3. $50.00. Copyright 2013 Colonial Bindery. All rights reserved.